The first draft of the new Tarken Ice Hockey logo. Tarken Ice Hockey team is a kids team. The removal of Ned Stark’s blood and decapitated head is inevitable. With that said, the first draft is below in an SVG format. I’ll keep everyone posted on what the final will be – with a little luck, maybe this is acceptable. In the second draft, the head of Ned Stark has been delivered to Catelyn Stark and I have re-taped and wiped the blood off of the goalie stick. There are many people claiming that Ned Stark is actually Jesus. Yes, Ned Stark might as well have been Jesus Christ because Eddard Stark was an honest man and a good man. 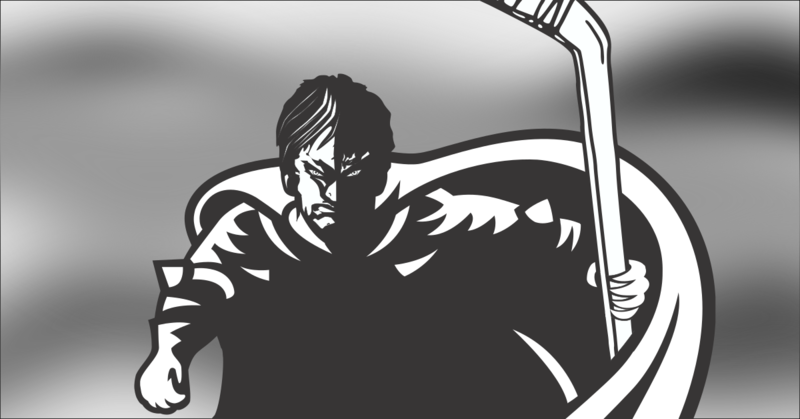 The first of second draft is with the hockey mask and sword in hand. The last of the second draft is without the hockey mask and sword.